Most of the time I spend in the kitchen is solitary. I tend to think of myself as a one man wolf pack... sans the Galifianakis beard. In my head, a recipe is something I take step by step, and when even one person joins the cake walk, I end up fumbling their directions (and mine), trying to keep them occupied and entertained. Sometimes, I'm lucky enough to have company who's content just to listen as I crack eggs and lame jokes, and often give half-assed explanations as to what I'm doing. I'm like a half baked cooking show host. Even though with more complex recipes I'm at my best alone with some good music, some things I can't do all by my beardless lonesome. For example, last Friday, my friend Steph volunteered to help me shoot my first official Bite Club video! So without further ado, I give you the crushing bad news that I came unprepared, brought a spatula to a gun fight, and bailed on shooting it. Steph and I have known each other since 6th grade, so we've been friends for half of our lives. I was in her wedding party this past May, and she and her husband Philip live less than 10 minutes from my parents' house. Since I never get to see her when I'm in Montreal, I was thrilled to pack up my supplies and traipse over, crash landing in her kitchen to bake up today's muffins. They're a healthy bite for breakfast, packed with island flavours of coconut and macadamia nut, exploding with fresh blueberry. DIG IT. It was a cool and rainy day outside. 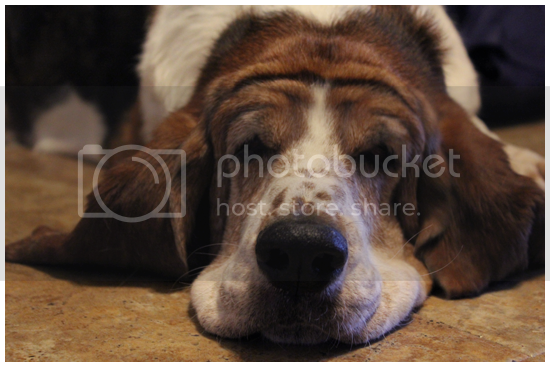 Inside, I mixed and folded while trying not to trip over Hazel, the basset hound, who wandered lost around the kitchen, trying to give us her sad puppy eyes in exchange for muffin batter. Steph snapped pictures. We drank Lemon Cream tea and talked about wedding photos, Neil Patrick Harris and singing things from Moulin Rouge. The sort of easy chatter you miss with people when you live cities or provinces away from each other. Food bringing us together-- is there anything it CAN'T do? Makes 12 muffins. Om nom. 1. To make the topping, combine the all purpose flour, chopped nuts and brown sugar in a small bowl. Drizzle the oil over top and whisk all of the ingredients together. Set aside. 2. Preheat the oven to 400 degrees. Spray a standard muffin pan with non-stick cooking spray. 3. 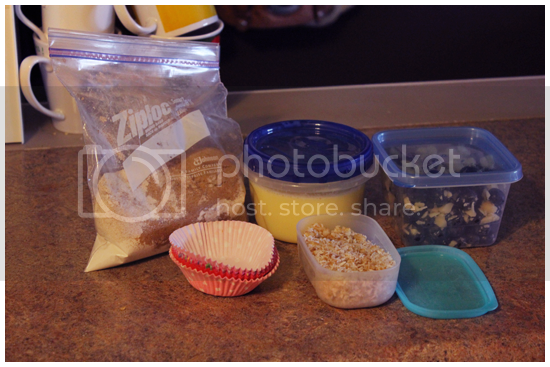 In a large bowl, whisk together both flours, brown sugar, baking powder, baking soda, salt and cinnamon. 4. In a separate bowl, mix together the egg, egg white, buttermilk, applesauce and vanilla. 5. Make a well in the center of the dry ingredients and add the wet ingredients. Stir with a spatula until only just combined. 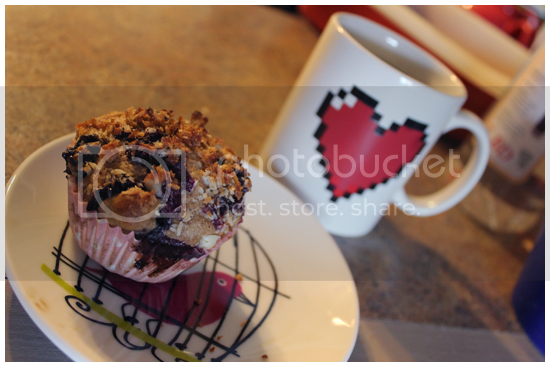 Fold in the blueberries and the macadamia nuts. 6. 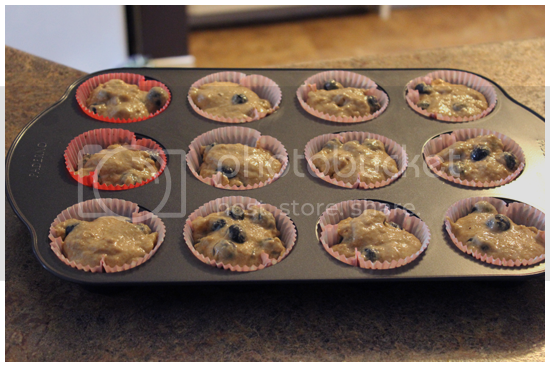 Divide the batter evenly until the 12 muffin tins, then top with the topping, gently pressing it into the batter. Bake for 18-20 minutes, or until a toothpick inserted comes out clean. 1. Gather up all of your ingredients. (I packaged mine up neatly since this is Bite Club going mobile.) 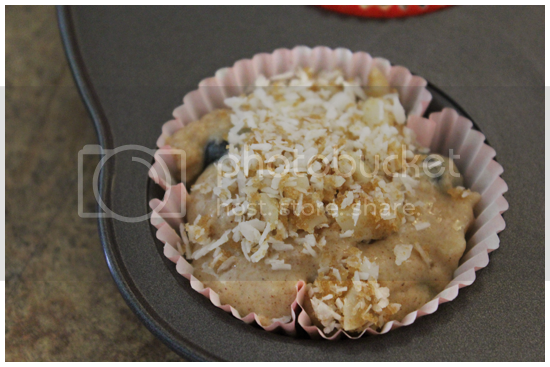 Dry ingredients, wet ingredients, blueberries & nuts, coconut topping. In a small bowl, combine the ingredients for the topping and mix until combined. Preheat your oven to 400 hundred degrees. 3. 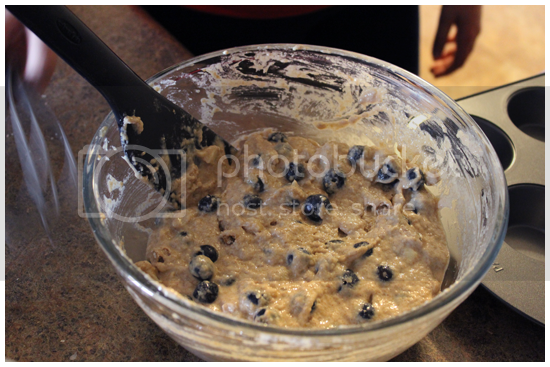 Fold in the blueberries and the 3 tablespoons of blueberries. 4. Spoon them into 12 waiting muffin tins, lined and sprayed with nonstick cooking spray, unless you like eating paper for breakfast. 5. 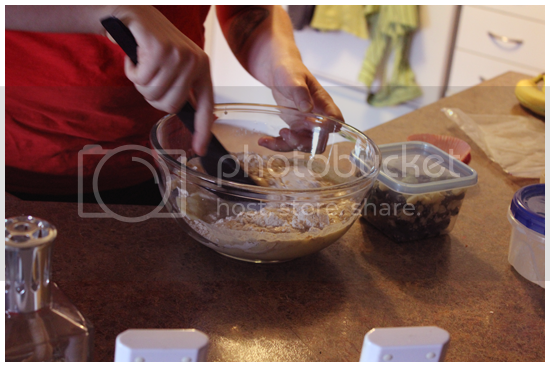 Spoon topping onto the batter, pressing it down gently with the back of the spoon. 7. Remove from oven, and let cool for 10 minutes in the tray, then remove and cool if you can resist trying them for that long. Serve with tea and enjoy! 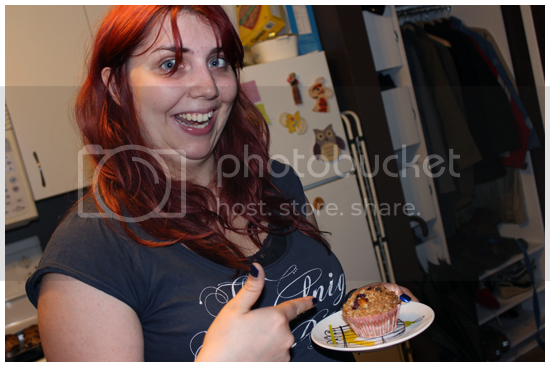 Steph went coocoo for coconut (macadamiablueberry) muffins! And Hazel was upset and muffinless, because everyone knows from our dear Roald Dahl that beagles bassets love blueberries. There there, Hazel.